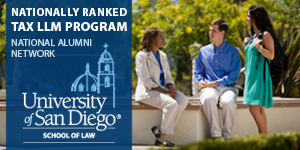 Paul L. Caron, Professor of Law at Pepperdine School of Law, has been named Associate Dean for Research and Faculty Development, effective August 1, 2015. Caron joined the Pepperdine tenured faculty in 2013 after serving as the D & L Straus Distinguished Visiting Professor in the spring semesters in 2010 2013. He previously was Associate Dean of Faculty and Charles Hartsock Professor of Law at the University of Cincinnati College of Law. In announcing the appointment, Deanell Reece Tacha, Duane and Kelly Roberts Dean and Professor of Law at Pepperdine, said, "I am delighted that Paul has agreed to serve in this important position. We are fortunate to have someone with Paul’s experience and perspective on the changing role of law faculty during these challenging times in legal education." Caron has written over 50 books and scholarly articles, including most recently Federal Wealth Transfer Taxation (Foundation Press, 7th ed. 2015) (with Paul McDaniel & Jim Repetti); Tax Regulation, Transportation Innovation, and the Sharing Economy, 82 U. Chi. L. Rev. Dialogue 69 (2015) (with Jordan Barry); Thomas Piketty and Inequality: Legal Causes and Tax Solutions, 64 Emory L.J. 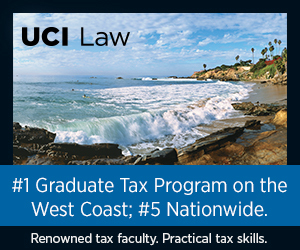 Online 2073 (2015); and California Dreamin’: Tax Scholarship in a Time of Fiscal Crisis, 48 U.C. Davis L. Rev. 405 (2014) (with Joe Bankman). 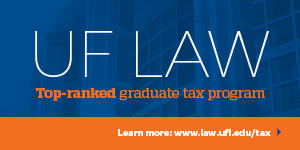 He is the publisher and editor of Tax Prof Blog, the most popular tax blog on the Internet; and the owner and publisher of the Law Professor Blogs Network of more than 50 blogs in other areas of law edited by law professors around the country. Caron has been named one of the 100 most influential people in tax and accounting for nine years running by Accounting Today. He was named the sixth most influential person in legal education in 2014 by The National Jurist. Caron succeeds Robert J. Pushaw, who has served as Associate Dean for Research and Faculty Development since 2013. Dean Tacha said, "I am enormously grateful for all of Bob’s work over the past two years in assisting faculty in their scholarly pursuits. Bob has done a wonderful job managing our support for faculty development, including travel, summer research grants, and faculty colloquia. I am delighted that Bob has agreed to continue mentoring our faculty on an informal basis." Congrats! Hope it doesn't detract from the quality postings and discussion on your blog! Congrats, Paul! Dean Tacha was wise to look to you. Best of luck! I hear this Caron is a pretty good guy. Congratulations, Paul! But shouldn't the title have been "Associate Dean for Research and Faculty Development and Blogging"? Congratulations! This speaks very well for Pepperdine as an institution. Congratulations. Don't stop it from making fun of the administrator class though!